Last night I came across a problem with AD that I have never seen before. Normally, Active Directory Domain Services is an extremely robust application that will continue to work, regardless of not implementing best practices, or misconfiguration. However, I promoted a new domain controller and was surprised to see that it was not able to replicate with any other DCs. Everything appeared to be configured properly. This seemed like the millionth domain controller I’ve created throughout my career, so I was accustomed to the process. There should be a CNAME record for each domain controller, mapping the DSA GUID to the FQDN of the domain controller. The newly promoted domain controller did not automatically create this CNAME record. After manually creating it, and waiting a little while, I was able to replicate all partitions throughout the domain. Then open DNS on another (working) domain controller and create a CNAME record in the _msdcs.<domain name>.<tld> forward lookup zone. Also verify that the new domain controller is listed as a name server for the zone. Just wait a little while, and then try to replicate all partitions. 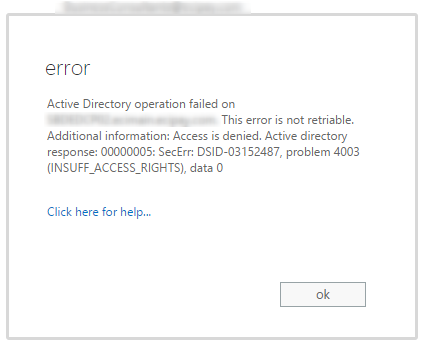 Noticed this error earlier today in the Azure Portal. This happened after renaming the server over the weekend. It looks like the Agent on the server uses a certificate to authenticate with Azure. Since the server name changed, the certificate is no longer valid. It was pretty obvious what the problem/solution was after seeing the "Invalid Credentials" response from the server. I wasn't sure how to update the certificates without completely re-installing Azure AD Connect, and couldn't find anything on Google that would help. But after poking through the Azure AD Connect Powershell module, I found this cmdlet: Register-AzureAdConnectHealthSyncAgent. After running this cmdlet, and restarting the Azure AD Connect services, the error message was resolved in the Portal. Hope this helps anyone experiencing this issue. While attempting to decommission one of our vCenter sites, I ran into an issue removing one of the PSCs. This site consisted of two PSCs and one vCenter appliance. I removed the first PSC from the SSO domain successfully, and then removed the vCenter appliance. Things became a little tricky during the removal of the final PSC. This PSC did not get removed even after running the cmsso-util command. This article will detail the steps I took in decommissioning the site, as well as removing the stubborn PSC. After running these commands, delete the virtual appliances. You can also verify the appliances have been removed by browsing to Administration > System Configuration > Nodes in the vSphere Web Client. vdcleavefed -h vcsa.ad.vcplab.local -u Administrator -w Passw0rd! 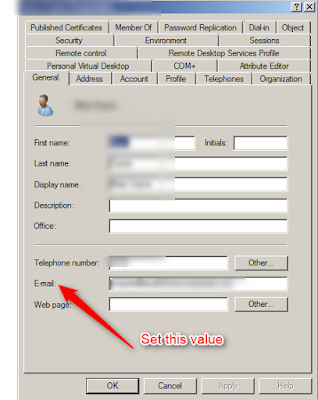 When specifying the username, use the SSO admin (administrator). However, do not use the full UPN (administrator@vsphere.local). Doing so will cause the command to fail. These days, it seems every Microsoft product comes with its own unique set of head scratchers. Microsoft Exchange Server is no exception to this. I was installing Exchange 2016 earlier today, to be used as a hybrid configuration server for Office 365 (no local mailboxes). I downloaded the self depackaging executable from Microsoft, and attempted to install it. If you currently have a hybrid configuration (which we did, with Exchange 2010), the Exchange 2016 installer will detect this and run some tests to verify that the Office 365 tenant is ready for Exchange 2016 (more info here: https://technet.microsoft.com/en-us/library/ms.exch.setup.hybridconfigurationstatuspage(v=exchg.160).aspx). You’ll be prompted for Office 365 credentials (the user must have the Organization Management role). Seems simple enough, right? Wrong. I again looked through the setup logs and found that this error happened anytime setup tried to run the “Get-OrganizationConfig” cmdlet. After troubleshooting for a little while, and no resolution in sight, I turned to Google. One of the posts I came across said that this is a bug in the Exchange installer, and to try and use the Cumulative Update installer instead. Apparently, with Exchange 2016, the Cumulative Update installer’s include all of the Exchange binaries, not just the updated binaries. I downloaded the installer for CU7 (all 6 gigabytes of it…) and successfully installed Exchange 2016. Hope this helps anyone out there struggling with this. I wasn't able to find any helpful information in the logs that could help identify the cause. Interestingly enough, enabling the service through SSH worked. Here's how I did it. First, you'll need to connect to your host via SSH (you will need to enable the SSH daemon first). Once connected, type in "esxcli system snmp get" to see the current snmp configuration. To enable SNMP, we first need to configure the community strings. To do that, type in "esxcli system snmp get --communities=<community strings>". Then, enable the service by typing in "esxcli snmp set --enable=true". You can then verify the new configure by typing in "esxcli system snmp get" again. Now refresh the vSphere Host Client, and the service should be running. So, what does this checkbox actually do? 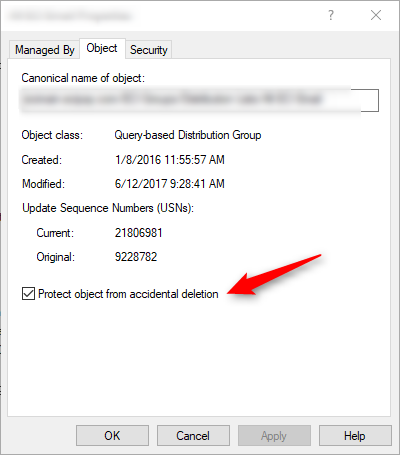 Enabling this checkbox will cause this rule to appear in Message Trace logs when it is applied to a message. We can see two entries in the message trace log. The first is for applying the transport rule, and the second entry is for setting the audit severity level. I haven't found a good explanation of the audit severity levels, other than you can filter by them when doing a message trace. If you know of any other use for the audit severity levels, leave a comment below! 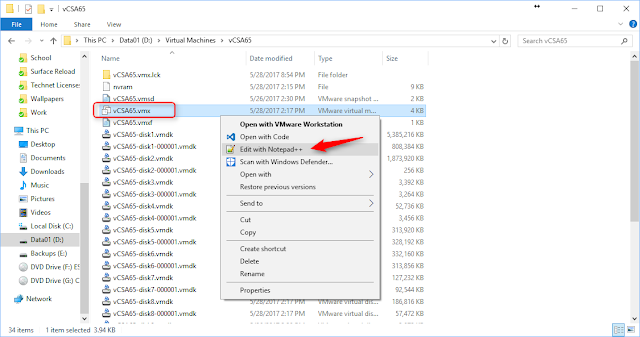 In this post I'll be walking through how to run a vSphere lab in VMware Workstation. I recently decided to obtain VCP6-DCV. Rather than driving up my electric bill like I've done in the past using physical servers, I'm attempting to run the entire lab on my workstation and a Synology NAS. 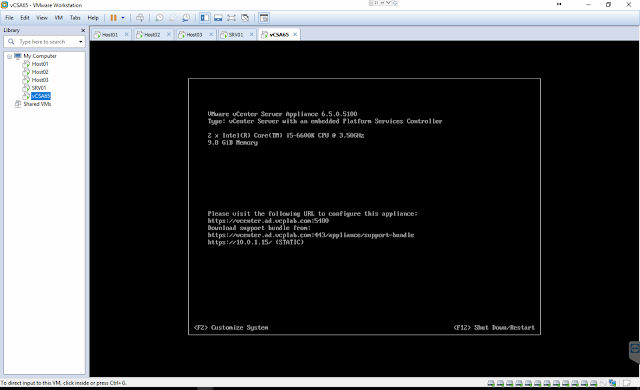 If you've ever installed ESXi, installing it in Workstation will be a familiar process for you. 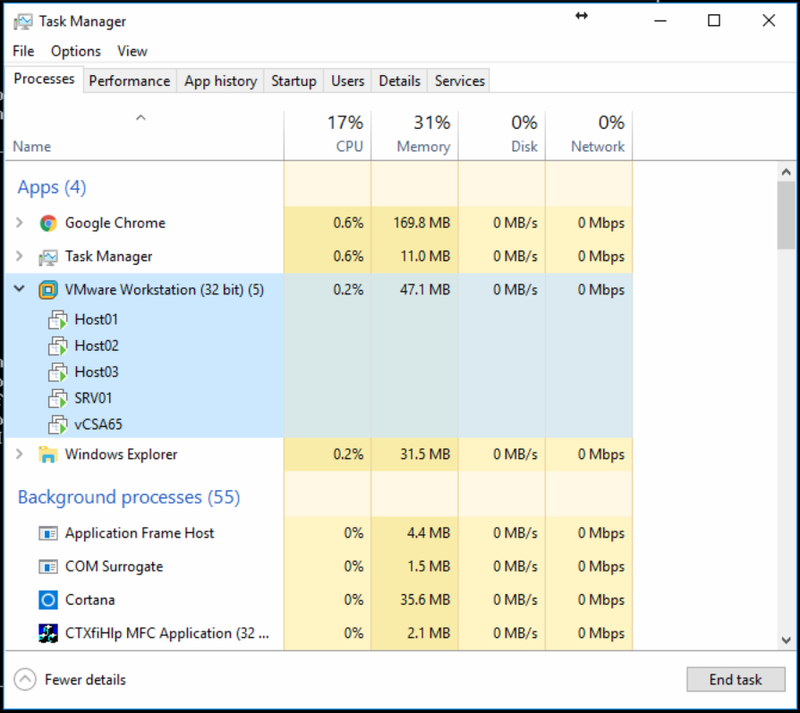 VMware tools is included in the installation disc, which makes installing ESXi in Workstation dramatically easier than it used to be. . The process is very simple, so I won't be going through those steps here unless someone asks me to in the comments. I also will not be going through the process of installing Windows Server or configuring a domain controller/DNS/DHCP, as I am sure you have done so in the past if you are reading this. So that really only leaves us with installing vCenter. Most of the blogs I found for installing vCenter in VMware Workstation 12 were not accurate, and often left me with a broken installation. The process is somewhat straight-forward when deploying from the OVA. Let's get started. 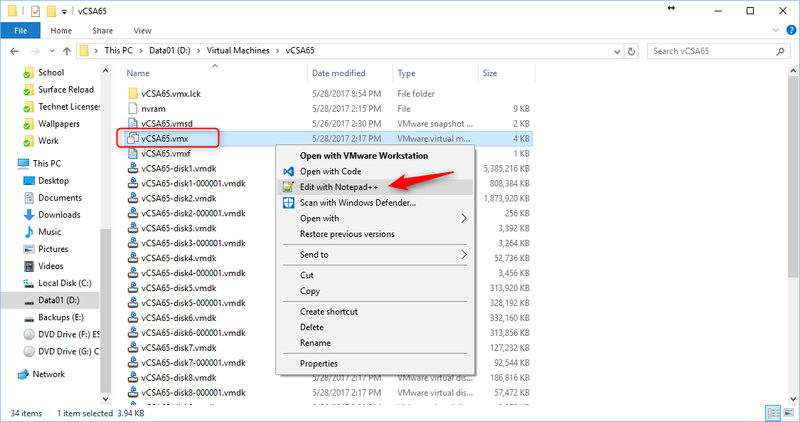 Once the download has completed, click File > Open in Workstation. 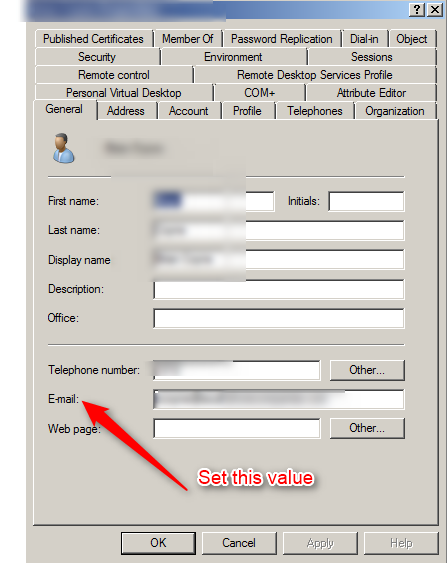 Browse to the OVA, then give your new VM a name and location if necessary. Accept the EULA when prompted. 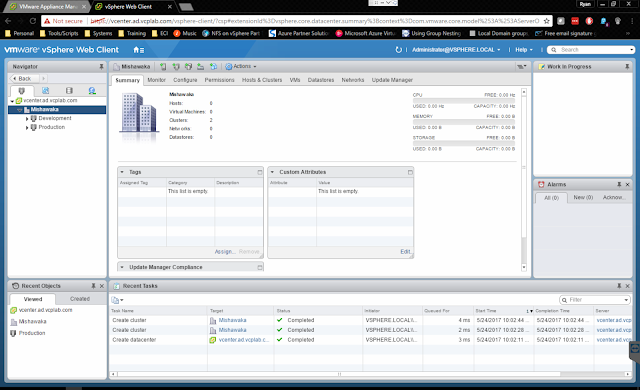 In my lab I am running 3 ESXi hosts, 1 Windows Server, and one vCenter server. Plenty to study for the VCP lab. Good luck and be sure to leave a comment if you have any questions!